What is the Vampire Facelift, the new miracle rejuvenating treatment? Home » What is the Vampire Facelift, the new miracle rejuvenating treatment? You’ve heard of vampires, but have you ever heard of the Vampire Facelift? This highly sought-after celebrity treatment has made its way into the world’s leading magazines. Considered a genuine miracle non-invasive rejuvenating treatment, the Vampire Lift is currently trending and you will find out why. Discover what this treatment is and what benefits it provides. Despite its name, the Vampire Facelift isn’t a facelift in the true sense of the word. Its name is derived from the main ingredient it uses: blood, your own blood. It is commonly referred to as PRP, which means platelet-rich plasma. When undergoing a Vampire Facelift, there are no incisions and no skin is removed. The treatment is intended to activate the skin’s natural healing mechanisms by promoting the growth of regenerative cells. 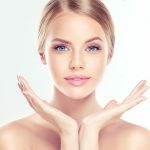 How does the face treatment work? The Vampire Lift begins with a simple blood test. This sample is then placed in a centrifuge, which separates the different elements. The miracle element sought here is the platelets contained in the patient’s blood. Once the centrifuge work is completed, the valuable platelets are re-injected into the damaged tissue. The procedure combines the use of an injectable filler substance and platelet-rich plasma. This combination is then injected into the skin to give the face volume. The Vampire Lift is a safe and very promising aesthetic treatment. The Vampire Lift is highly praised among beauty experts for its many benefits. In particular, it helps eliminate and reduce the appearance of wrinkles and traumatic or acne scars. The treatment is also known to rejuvenate the skin under the eyes and tighten open pores. It is often used to treat alopecia in both men and women. The Vampire Facelift is a discreet treatment that helps people improve the appearance of their skin without surgery, unlike more invasive methods, such as eyebrow or eye lifts. The people who benefit most from the Vampire Facelift are those with fine wrinkles on their faces. It is especially beneficial for people with a less smooth skin texture or whose complexion has become uneven or greyish. The Vampire Facelift is undoubtedly an excellent way to improve skin quality, including tone, texture and light wrinkles. Want to fend off the effects of aging with the Vampire Facelift? Perfect beauty is unattainable in reality. On the other hand, there are some treatments that help people get very close to it. The Vampire Lift is without a doubt one of them. Univers NuFace is a medical-aesthetic clinic that specializes in platelet-rich plasma treatments. To improve the appearance of your skin or to postpone the effects of aging, contact our team. Our specialists will be happy to discuss this rejuvenating treatment with you and advise you based on your expectations.